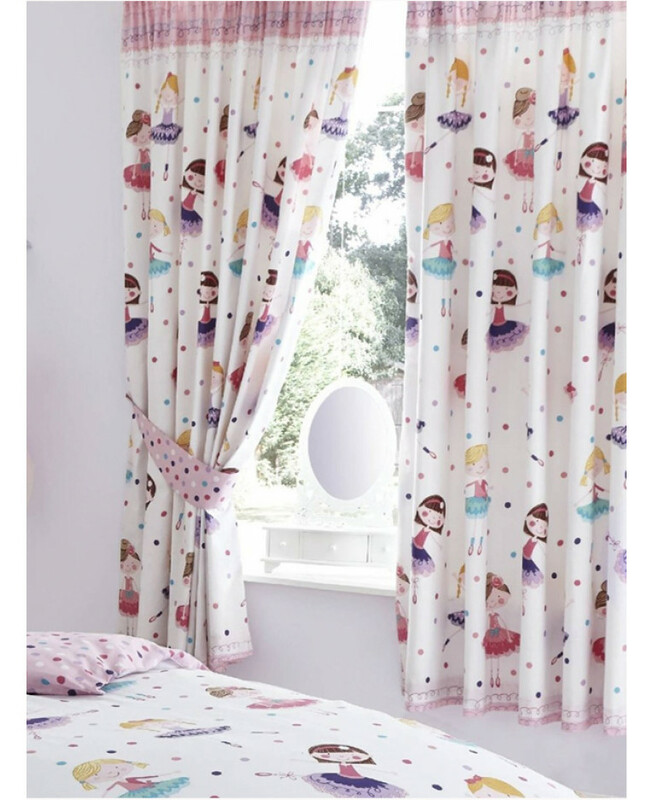 Little ballet fans will love these Ballerina Curtains! 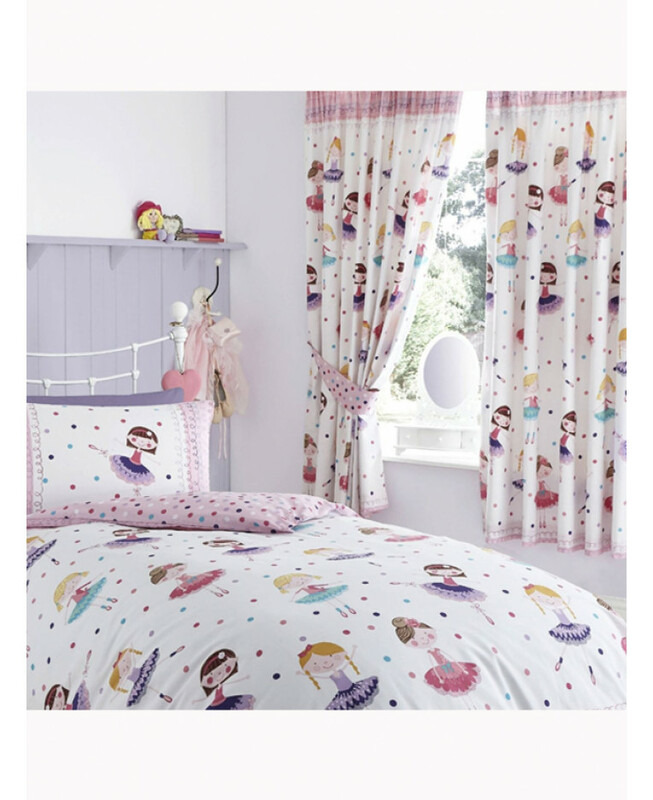 The adorable design features a collection of pretty ballerinas on a white background with polka dots in shades of blue, pink and purple. 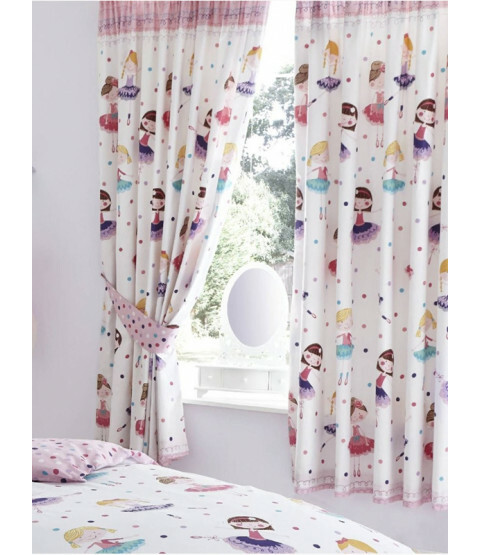 These curtains are fully lined and come complete with tie backs.They are also suitable for machine washing and tumble drying on a low setting.